We had a leak that turned into a flooded cellar, a clogged sink, a splinter, and so on. But the saddest thing that happened today was the ruined fudge. 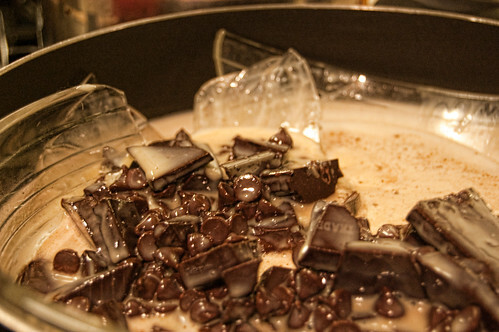 We heated the bowl and things were just fine until the chocolate wanted to fight back. It just wouldn't melt! So one of us took a knife to it. Well the bowl couldn't fight back as well and, much to our startled dismay, it shattered. No more fudge (although we did nibble precariously at the bits of chocolate that were still completely intact). It was a fun day, despite the twists and challenges.